Heading to Hermanus, Stanford or Elgin? 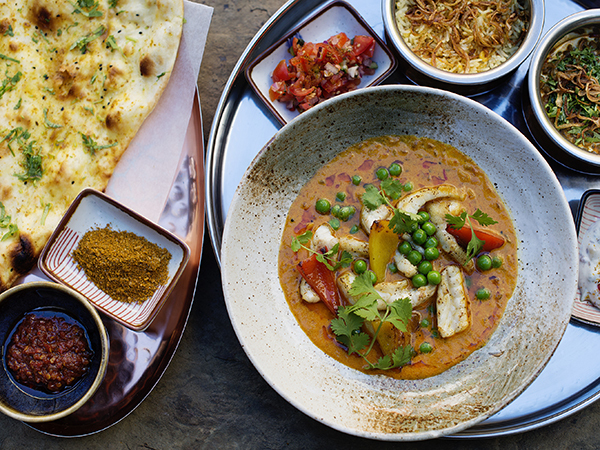 From cosy, country-style restaurants to smart fine dining restaurants with knockout views, here are some of the very best restaurants in the area. The below restaurants were the most highly rated by our panel of reviewers in 2015, and appear in the Eat Out 500 in our 2016 magazine (on sale now). Need some more ideas? Search the town name in our search above for a more comprehensive list of options. 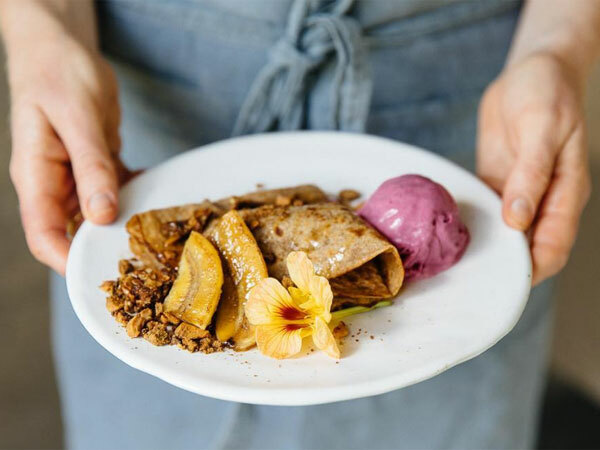 Some 12km outside of Barrydale, under a vine-covered afdak in the orchards you’ll find local farm produce transformed into delicious pâtés, pestos and other treats. 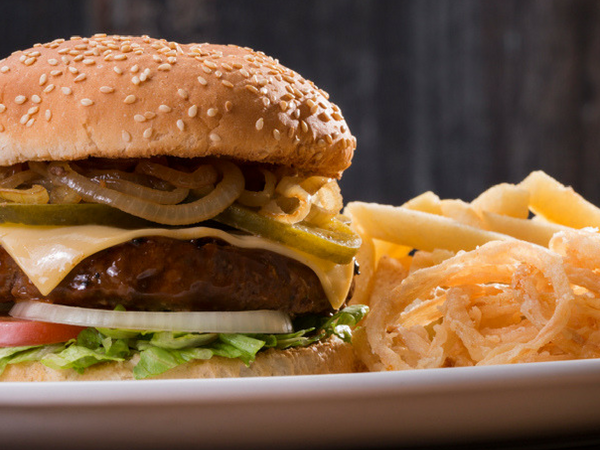 The burgers and bobotie are outstanding – as are the poached pears, in season. Food on the table at The Alfresco Deli at Joubert-Tradauw Cellar. Photo courtesy of the restaurant. 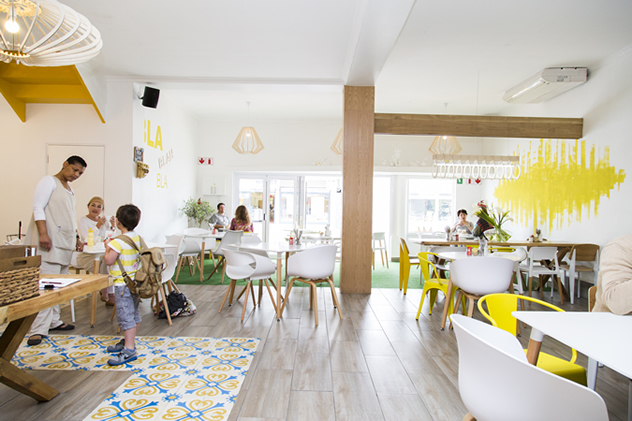 Stop off on the N2 for a relaxed breakfast or lunch at one of the big tables. Food is comforting – and great quality. Try smoked snoek spring rolls with hanepoot dressing or springbok pâté en croute with quince preserve and raisins. Tables out on the grass are paradise in summer (although there’s a cosy fire in winter, too). Robust country-style food is largely prepared from food on the estate. Try homemade chicken and leek pie and don’t neglect pudding: think Elgin apple tart or pear and hazelnut tart with cinnamon mascarpone. A corner table at Fresh at Paul Cluver. Photo courtesy of the restaurant. A magnificent bistro menu compliments the estates great wines. Try a pan-roasted duck breast, or artisanal cheeses. There’s also a chocolate and wine pairing. The deck at Creation Wines. Photo courtesy of the restaurant. A nominee for this year’s Eat Out Mercedes-Benz Restaurant Awards, this fine dining restaurant turns out simply magnificent dishes, like fire-roast Jerusaem artichokes, endive marmalade, pickled seaweed and preserved lemon; or pork dumplings in a carrot, nasturtium and elderberry dressing. Glass walls and a small terrace open to some spectacular views. 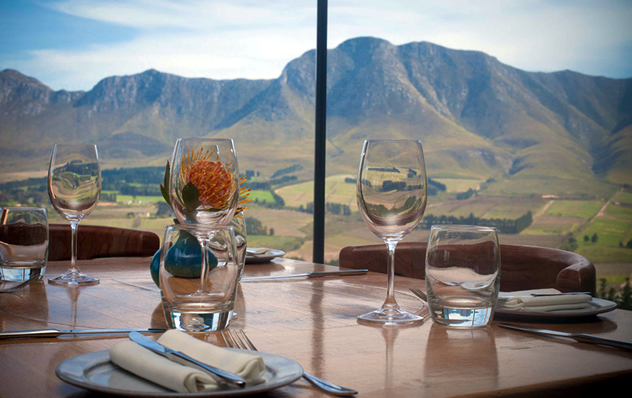 A view of the Boland mountains at The Restaurant at Newton Johnson. Photo courtesy of the restaurant. 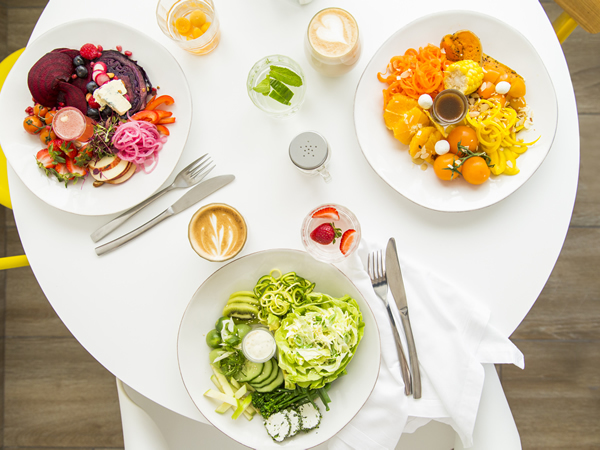 From the team who used to run Burgundy, comes a light, bright breakfast and lunch spot with magnificent food. 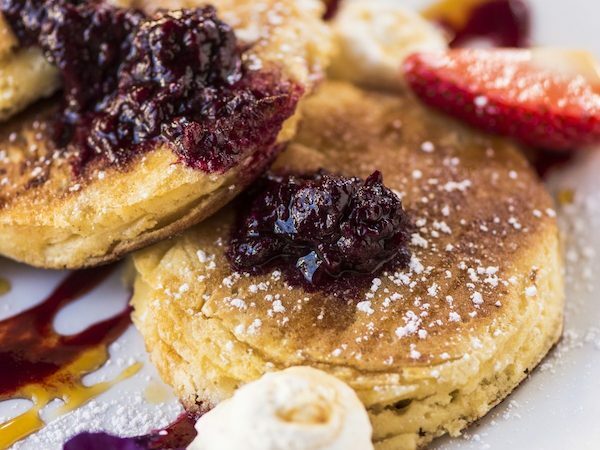 Think pulled pork pancakes, mascarpone French toast, and beautiful fresh salads. 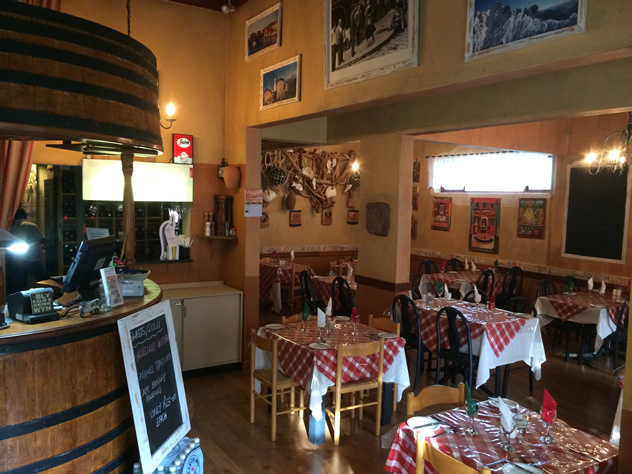 This cosy, welcoming restaurant is an excellent option for comforting Italian food. Prices are fair, portions are generous – and pizza is woodfired. 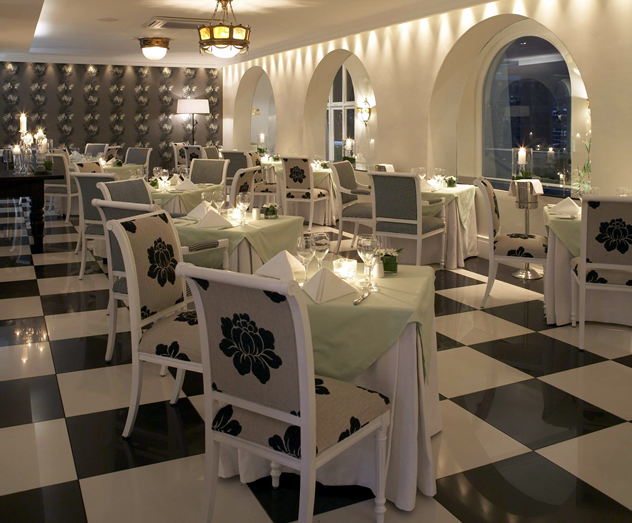 The interior at Fabio’s Ristorante. Photo courtesy of the restaurant. Honest, generous country cooking shines in dishes like lamb shank, fresh fishcakes or a Mediterranean salad composed of produce from the nearby gardens. The shady terrace is the place to be in summer. Inside The Pavilion Restaurant. Photo courtesy of the restaurant. Perched on the cliffs, this hotel restaurant offers spectacular views of the bay. Cuisine is refined, light and smart. Think mindblowing pan-seared Mossel Bay sole fillets, with crunchy baby octopus and white-wine-and-fennel velouté or chargrilled springbok loin. You’ll find breathtaking views and wholesome country cuisine at this Pringle Bay spot. Try lamb’s liver and gravy or the unmissable gorgonzola soufflé. There’s a jungle gym for the kids. 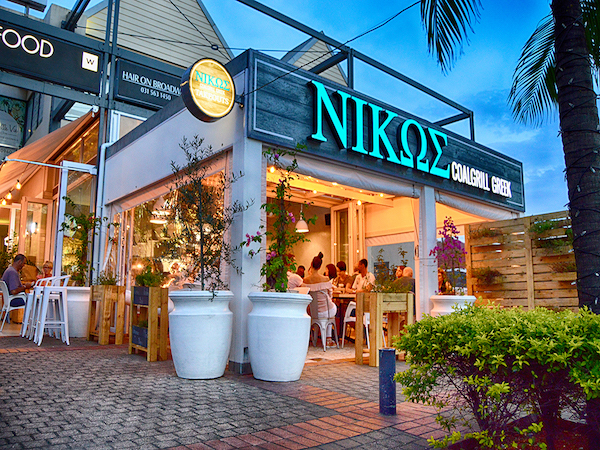 This informal spot offers enough fresh seafood and good cheer to keep the fans coming back again and again. Think prawns in Malaysian oil, and fresh fish cooked over an open fire. This unpretentious country restaurant punches above its weight. 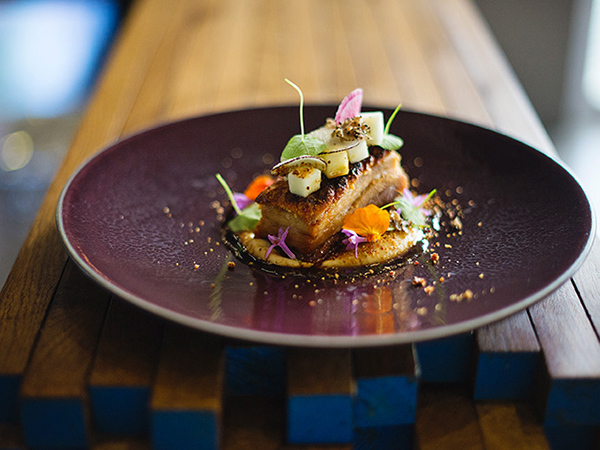 Try the sublime pork belly with beetroot chutney, or the chef’s famous lemon tart. There are delightful views from the terrace. Do make a booking. An outside table at Havercroft’s. Photo courtesy of the restaurant. 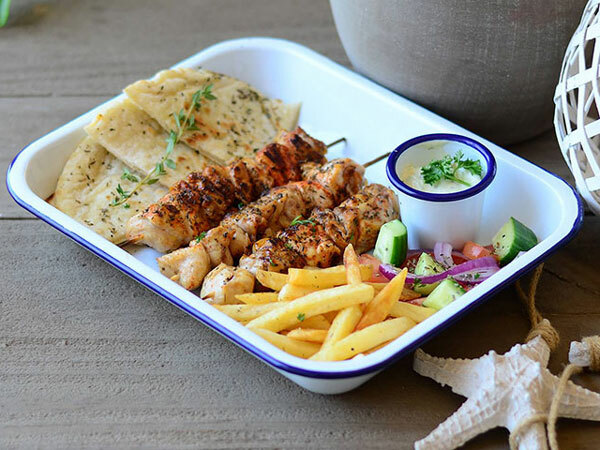 Country-style cooking gets a touch of Mediterranean influence at this deceptively casual restaurant. Mains like pappardelle with melanzane and chicken liver or oxtail risotto are revelatory. They’re open for breakfast and lunch. This small country cottage bursts with flavour. 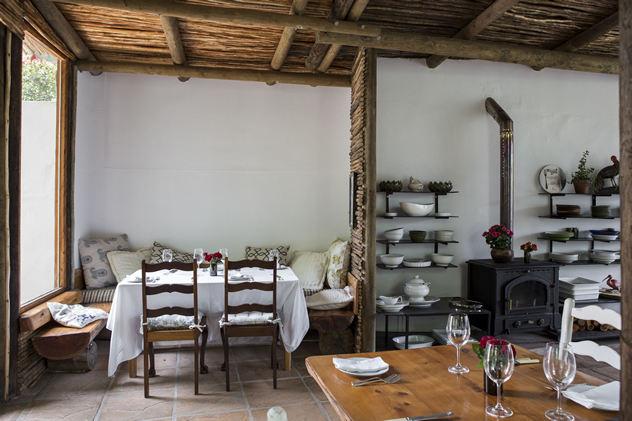 Mariana Esterhuizen conjures up incredible seasonal food like a country-style fish soup or a buttery gruyère tart. Booking is essential, and they do not take cards. Nab a spot on the terrace in front of the expansive lawns in summer. Country-style dishes might include roast pork with apple fritters or a traditional bobotie. There’s a carvery on Sunday afternoons. 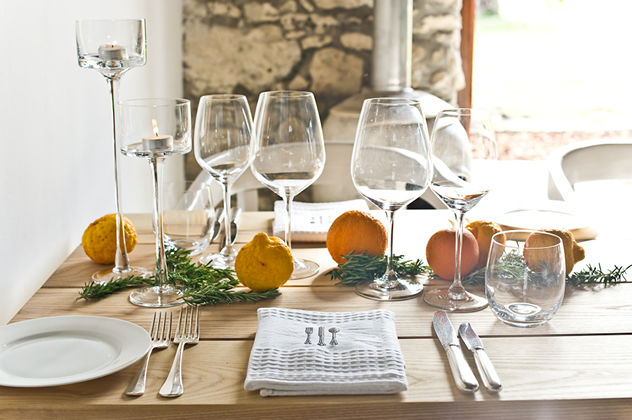 The table setting at Springfontein Eats. Photo courtesy of the restaurant. A German Michelin-starred chef turns out exquisite seasonal dishes using locally foraged and farmed ingredients. 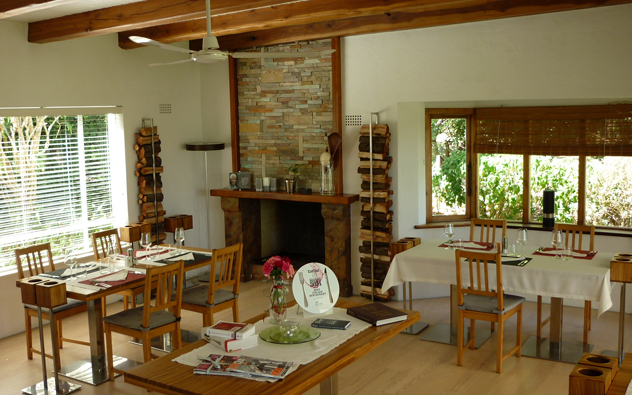 The stone farmhouse has a veranda with a view of the wine estate. 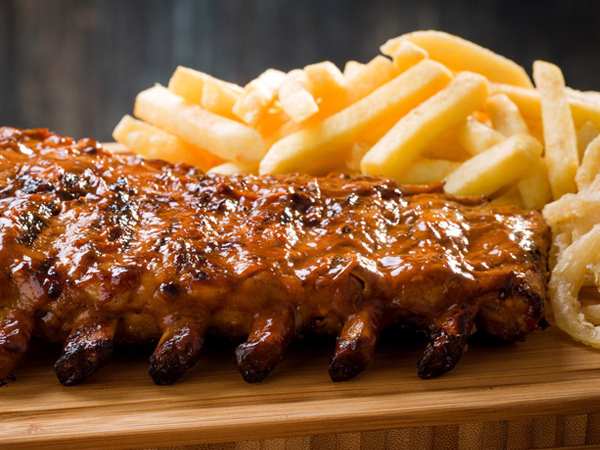 This popular pub and restaurant offers homecooked food and genuine Overberg hospitality. Try thin-based square pizzas or tender pork belly. This warm, intimate spot won Best Italian Restaurant in 2014 in the whole country. 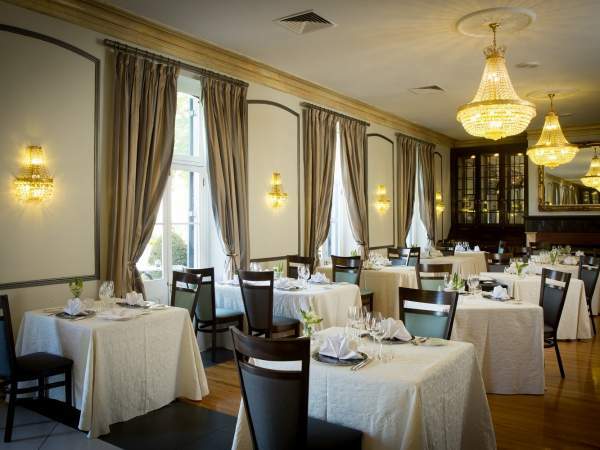 Try tempting pastas (cocoa tortellini stuffed with wild boar), slow-cooked duck confit or light springbok carpaccio. Gourmet sarmies, pizzas and burgers join delicious dishes like a lamb salad and chorizo risotto. 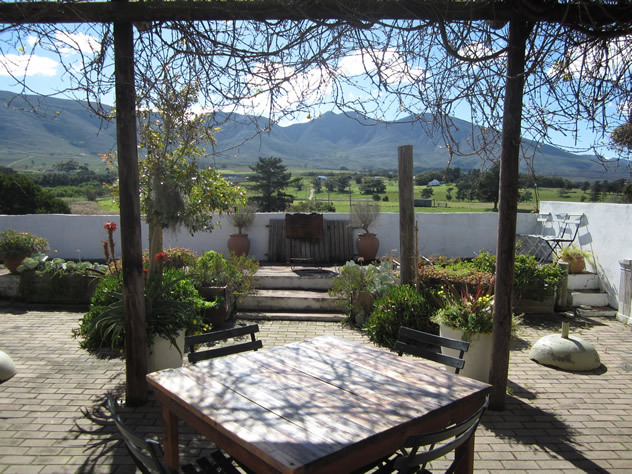 Ask for a table upstairs to enjoy views of the surrounding mountains and village. The interior at Tredici – The Baker’s Dozen. Photo courtesy of the restaurant. 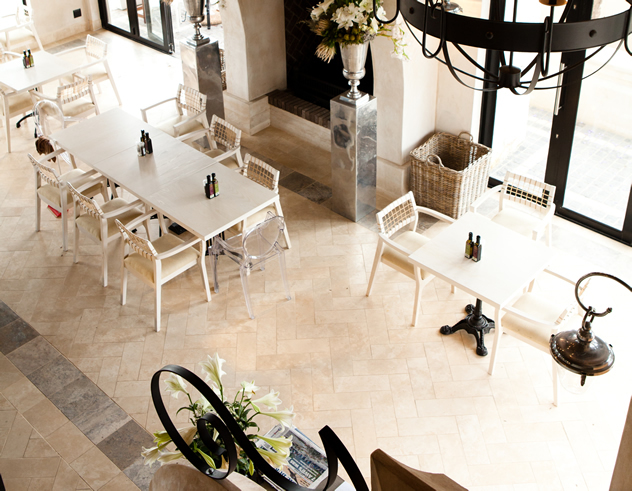 And if you’re in Kleinmond, you have to try Rivendell Restaurant. I’ve eaten there several times and their food has been good consistently. It’s on the R44, just past the Kleinmond turn-off.